More than 13,000 noncommissioned officers, petty officers and their eligible family members now are able to take advantage of one of the nation’s highest rated financial services companies, thanks to an agreement between the Naval Enlisted Reserve Association and USAA. USAA, a leading financial services provider to the military community, is now NERA’s exclusive provider of financial services such as online banking, investments, retirement planning and life insurance. For USAA, the agreement is a natural evolution of its ongoing effort to help facilitate the financial security of members of the U.S. military and their families. "USAA has been a supporter and friend of NERA members for many years, so this is an exciting time for us all,” said Nick Marine, NERA National President. To learn more about USAA, call 800-531-8722 or visit usaa.com. To learn more about NERA programs, call 800-776-9020 or visit http://www.nera.org . The Naval Enlisted Reserve Association is a military and veterans organization representing the enlisted reservist members of the Navy, Marine Corps and Coast Guard. 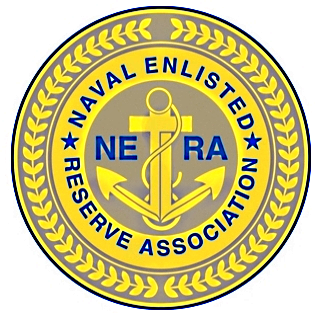 NERA includes retirees, Full-Time Support (FTS), drilling reservists and others joining as associate members. In more than 50 years, NERA has been responsible for many of the pay and benefits gains reservists enjoy today and take for granted. USAA provides insurance, banking, investment and retirement products and services to 7.4 million members of the U.S. military and their families. Known for its legendary commitment to its members, USAA is consistently recognized for outstanding service, employee well-being and financial strength. USAA membership is open to all who are serving or have honorably served our nation in the U.S. military -- and their families. For more information about USAA, or to learn more about membership, visit usaa.com. *Superior rating from IDC Financial Publishing; Highline Banking Data Services Top 25% of peer group; Office of Thrift Supervision Outstanding Community Reinvestment Act Rating. As of Dec. 31, 2009. ratings; AAA (Extremely Strong) from Standard & Poor's, highest of 21 possible ratings.